October, I love October. No other month compares. Our days get shorter, the air is crisp, leaves change into vibrant colors and there is the smell of wood smoke in the air. October means pulling out our sweatshirts, eating caramel apples, raking leaves, Halloween and garlic. Yes folks, October is for garlic. Garlic, especially fresh garlic, is absolutely delicious and it is crazy easy to plant. There is really nothing to it. I try to get mine in around Halloween, not to ward off vampires, but because that’s just the best time in our region to do it. I used the following video off YouTube to plant my garlic patch. I hope you find it as useful as I did. By now our gardens have been producing an abundance of fruits and vegetables, but if you don't garden or if your garden is more landscape oriented, don’t miss out on the wonderful flavors of summer crops. Patronize one of the many farmers' markets in and around the Kansas City area. Not only will you be treating you and your family with amazing produce, but you will also be supporting our local farmers. There is always a festive atmosphere at the market ... produce, baked goods, hand crafts, food trucks and music. It's also the perfect family outing, so bring the kids and their wagons ... you'll be glad you did. As with all farmers markets, the earlier you arrive, the better the parking and selections. Markets have such a wide selection of produce, from the obvious fruits and vegetables to honey and grass fed organic meats. Vendors are friendly and there is always the lingering aromas of kettle corn, roasted turkey legs or fresh roasted corn. It's a feast for the the senses. The bounty of summer is just minutes away for most of us. Listed below is a list of farmer's markets in the Kansas City area. Everybody’s made it through the Fourth of July and the heat is on. Day after day has been brutally hot ... and this kind of heat does not play well with others or our gardens. If you haven't already, this is the time take steps to protect what you've worked so hard to establish. There are a few things you can do to protect your lawn and gardens. 1. 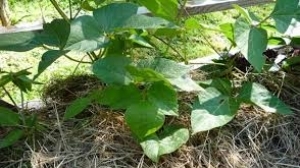 Mulch around your plants at least 3-4 inches to protect the roots from the heat and sun. Mulching also helps conserve moisture and as it decomposes it will add nutrients in to the soil. 2. Consider a soaker hose in your gardens. It allows for a deep soaking that gets right to the roots with little waste through evaporation. Make sure to cover with mulch because they can be damaged by the sun. As with regular water hoses, don't forget to bring them inside during the winter. 3. Make sure to water lawns and gardens early in the morning before the heat sets in and avoid watering in the evening after 6 pm to prevent diseases. 4. Shade tomato blooms and other plants from the sun by tenting them with cheesecloth or an old bed sheet. During extreme heat, plants will cease flowering and can get sunburned...remember the scene in The Godfather? 5. Hold off fertilizing flowers. The summer's heat can cause "fertilizer burn". A better option is to wait until fall to fertilizer to help plants recover. Those are just a few tips to get you're garden through the Dog Days of Summer. But wait, there's more! There is still time to plant some great crops now that will take you into the fall. 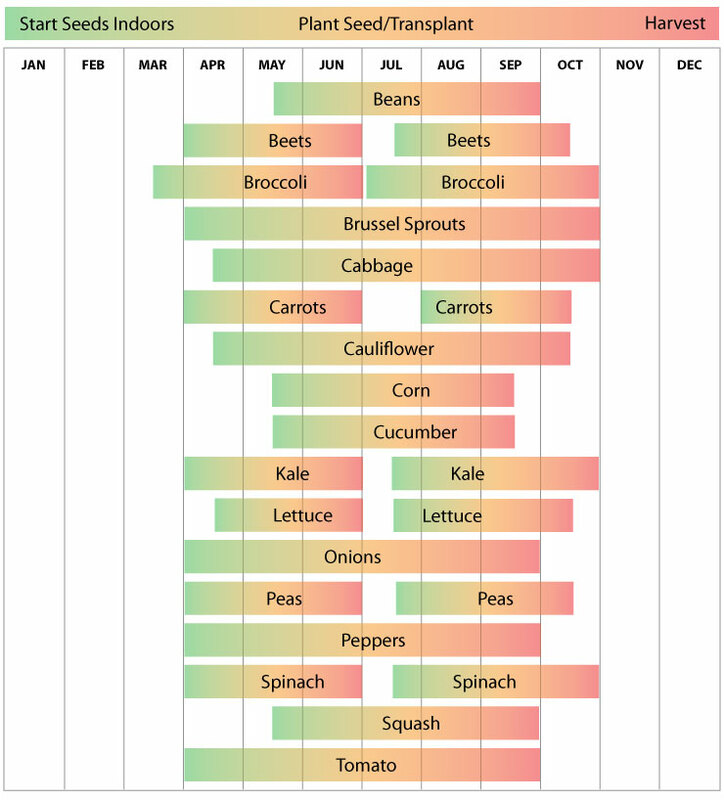 The chart below is from the Urban Farmer Seed Company and shows a wide range of crops that can be planted now and be ready for fall. They're predicting May will usher in a pronounced warm spell across the Midwest, along with normal moisture and possible thunderstorms. So, if you're still thinking about what to put into your garden, consider a pollinator garden this year. The positives are incredible and these types of gardens can take pretty good care of themselves once established. They feed the pollinating birds and bees as well as butterflies and insects that keep our gardens and orchards producing. They're composed of native wildflowers and grasses that provide colorful blossoms, adding beauty through the fall. Sadly, our pollinators are in trouble and studies have shown them to be in steady decline. The reasons are many ... chemical misuse, diseases, parasites, and loss of natural habitat all contribute to this decline. As a homeowner, planting flowers native to your area is very beneficial. I started a pollinator garden at Lawn-Corps' Soil Center this year and it was easy peasy. I used two sources for my wildflower seed. Locally, Planter Seed Company at the River Market has a wonderful blend of pollinator seed. I also ordered online from American Meadows. They sell native wildflower seed specially formulated for your region of the country. The mixes are filled with prairie perennials like Purple Coneflower, Butterfly Weed and Black-Eyed Susan, just to name a few. Their seeds are 100% pure, non-GMO and neonicotinoid-free seeds. BTW ... make sure the seed you buy is neonicotinoid-free. A note on neonicotinoids ...they are a group of insecticides that are absorbed by plants which in turn can be present in pollen and nectar, making them toxic to bees. It's hard to avoid them primarily since they are used on farms and other urban areas. Most plants grown in greenhouses start from seed that is coated with neonicotinoid pesticides. This defeats the purpose of helping our pollinators. There are other ways to help our pollinators. Some of you won't want to hear this, but save the dandelions! They are the first food source for bees in the spring. 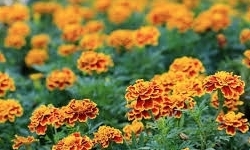 They're attracted to the bright yellow blooms as well as flowers which bloom in white and blue. Hummingbirds like funneled shaped flowers in deep red, orange and white ... but, please no dyed hummingbird food. As for butterflies, plant flowers in red and purple and they would thank you for planting a Butterfly Bush. Did you know ... Butterflies need resources other than nectar. They are attracted to unsavory foodstuffs, such as moist animal droppings, urine and rotting fruits. Provide something a little more appetizing like overripe bananas, oranges or other fruits. And yes salt ... try leaving a sponge in a dish of lightly salted water to see which butterflies come to investigate. Sea salt provides a broader range of miconutrients than regular table salt. Well, I hope this gives you some food for thought. Our pollinators are vital to our existence here on earth. Let's help them help us. April showers bring May flowers and we're off to a great start. Farmer's Almanac is supporting cool temperatures with rain for April and with more rain into May. Time to think about maintaining sustainable landscapes. This type of maintenance creates a healthier, longer term lawn by the simple use of native plants, water harvesting and compost. Begin with native plants for the mid-west. Native plants are a great way to contribute to your soil and environment. Plus, they're just beautiful and if conditions are right, supply you with a beautiful landscape full of color. Native plants require little to no maintenance. Except when first planted, they require minimal watering. Because these plants are native to our area there is no need for fertilizers or pesticides. Your sustainable landscapes will conserve water and energy, reduce waste and aid in preventing soil erosion by decreasing runoff. 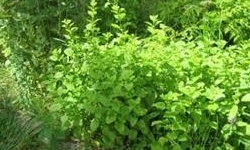 plants healthy and prevents the topsoil from drying out and blowing away. By amending the soil you add nutrients back in the earth as well as volume and aeration. The surefire way to do this is through compost. wastes, leftover crop residues, weeds, and manures. In a nutshell, the basics ... native plants, composting and water harvesting. These are just three of the many ways to creating a healthier garden and preserving existing plant life, while also conserving resources. It's good for the environment and it's good for us. The basics. A fairy house tucked away at the base of a tree. I've seen a wide variety available for sale on Etsy. I love this! Garden mats made from old garden hoses and zip ties...genius! Put those marbles to good use! Using E6000 silicone, glue copper pennies to a bowling ball. Make sure to bring it inside during the winter though. Something fun to do with your kids! Who knew saws could look so dramatic. This is so clever ... I wish I had somewhere to do this! Succulents in an old birdbath ... beautiful. Well, there are just a few ideas to get your creative juices flowing. There is no need to go into any expense. Hit a few thrift stores or see what's been hiding in the garage. Make your garden your own, you'll only have the summer to enjoy it. Garden envy? You want one, you need one, but where? Maybe you live in an apartment or simply don't have the backyard space. Try pallet gardening. It's a great alternative to traditional gardening and a chance get creative in limited spaces. With pallet gardening, you have options. Live in a balcony apartment? Try hanging your pallet vertically for a growing wall. Limited yard space? Place pallets horizontally on the ground as part of your landscaping. For raised beds, multiple pallets can be stacked, or as in the photo above, placed on sawhorses. Pallet gardening is easy and all you need are a few basic tools and supplies. To start, find your perfect pallet. Personally, I suggest using a new, clean, fresh pallet, but you can buy used. In either case make sure your pallet has been heat treated. There will be a (HT) stamp somewhere on the pallet. Also, if going with a used pallet, look for stains. You can never be sure of what chemicals were stored on an old pallet. You want your pallet to be as clean as possible and free from rusty nails and staples. It might be a good idea to scrub your pallet with a light bleach solution to get rid of any bacteria, especially if planting edibles. Keep in mind that Craigslist is a great source for free pallets as well as businesses near your home. Remember, look for that (HT) stamp! Here's a video that walks you through the process. There are several ways to make a pallet garden, but this is my favorite. If you've decided your pallet will be hung vertically, make sure to consider the weight of a fully planted pallet after watering. It can be quit heavy so choose the right mounting brackets and a solid location on which to hang. Attach the mounting brackets in place before you add the weight of the soil and plants. After you've added plants to your pallet, keep it horizontal for a few days and water thoroughly. Add more soil as it settles. Once the soil has settled, hang your pallet and monitor it closely. Water frequently, especially the bottom half of the pallet gets the driest. For more ideas on pallet gardening and other pallet projects, check out Pinterest. You'll wonder why you didn't think of this sooner! Mulch, they all do the job when it comes to the basics. Mulch will keep the moisture in the soil, keep the weeds down and mulch will give your landscape a nice finishing touch. Regardless of which type of mulch you choose, you should mulch. When choosing mulch, which is right for you? Every type of mulch has strengths and weaknesses, making it suitable for some situations and not others. Most mulches are organic while others, like rubber mulch, are inorganic. Each type of mulch has it's own characteristics such as color, texture, functionality and cost. And then, there is cedar, the sweet smell of cedar. Cedar's distinct aroma is why many homeowners choose it as their "go to" mulch. The essential oils in cedar give off a long lasting scent, although the oils do degrade over time. But, there are a few things you should know about cedar mulch. There are homeowners that swear that the essential oils in cedar mulch help repel unwanted insects such as termites and even mosquitoes. While that can be true, there are gardeners who feel cedar mulch discourages butterflies and other beneficial insects from entering the garden. Cedar also decomposes slower than other mulches which can be a good thing, especially for your pocketbook. On the other hand, a mulch which decomposes faster will add beneficial minerals and nutrients back into the soil. And, even though cedar mulch lasts longer than others, it's natural color will not, turning gray with time. In fairness, this happens with most all mulches. Finally, cedar mulch is slightly more expensive than other mulches. However, the price difference is not huge, and the benefits of longer-lasting, pest-repellent mulch may outweigh the minimal extra cost. Well, those are just a few things to think about when buying any type mulch. Figure out what your needs are. Maybe you just want a manicured look to your landscaping, maybe you're mulching trees and bushes, a vegetable or flower garden, pathway or play areas. Each mulch carries its own function. Sidenote: Lawn-Corps processes its cedar mulch on site with cedar brought in from local saw mills. Kansas City, when the weather can reach 80 degrees one day and snow the next. Lucky for us, spring is just around the corner and backyard playgrounds are beckoning children everywhere. Whether your backyard playground is a tire swing or a playset with all the bells and whistles, you have to ask yourself, is it safe? Each year, according to Centers for Disease Control, emergency rooms treat more than 200,000 children for playground related injuries, many from falls. There are several factors that account for these injuries, some of which are faulty playground equipment, absence of adult supervision or lack of a proper ground cover for the play area. When it comes to cushioning falls, playground mulch is an easy fix. Not only will it add to the visual appeal of your home's landscaping, but it's low maintenance and affordable. However, buyer beware, not all mulch is alike. This year, Lawn-Corps has designed a playground mulch with children's safety in mind. It is renewable, green, 100% natural and for a parent's peace of mind, it's certified. It's important to know that Lawn-Corps is one of two companies in Missouri and Kansas that have achieved certification by meeting these standards. It's a big accomplishment for us and one that we are very proud of. It's just a first step to help ensure the safety of our most valuable resources ... our children.